If you haven’t read Part 1 yet, go read it now. Then come back. Welcome back. Shall we begin…? And Atlas shrugged. Many of the Axanar detractors, and indeed, even the plaintiffs and their attorneys have said, “So what?” These two men aren’t spokesmen for the studios. They were hired out as directors, and therefore, any opinions they might have are hardly relevant to the case. Who cares what they both said in their e-mails to the studios about Axanar? We already know what they think anyway! The reason the defense wanted to depose J.J. and J. and see their correspondences with the studios is NOT about learning what they said to Paramount and CBS. It’s all about finding out what the STUDIOS said to J.J. and J. If the studios said anything to J.J. Abrams or Justin Lin leading them to believe that the studios would be dropping the lawsuit because they agreed that fan films were only helping the franchise and not hurting it, well… BAM! The studios are now on record as agreeing that fan films might actually be a GOOD thing for Star Trek. And it’s hard to prove damages from a good thing. Of course, it’s possible the studios never said any such thing in an e-mail or a phone call. Or maybe J.J. Abrams just imagined it…or went, er, rogue. (Sorry, had to make at least one Star Wars reference.) And if the studios never said fan films were a “good” thing for Star Trek, then game over on this line of argument, right? And the reason for bringing up other fan films is this. If fan films cause any kind of financial harm to the studios, then why leave them up on YouTube at all, let alone for years and years? Copyright holders are allowed to tell YouTube to take down videos that might be in violation of copyright and then wait for the two sides to sort it all out (while the video remains down, of course). But this has NEVER happened for ANY Star Trek fan film. In fact, the one time a Trek fan film was taken down from YouTube (shortly after Star Trek Continues posted “The White Iris”), it turned out it was a mistake made by YouTube, and CBS pushed YouTube to get that episode back up ASAP. Read about it here. So let’s assume that the mere existence of Prelude to Axanar and the “Vulcan Scene” were doing irreparable harm to CBS and Paramount. Wouldn’t it have been a good idea, then, for the studios to contact YouTube and have both films taken down? After all, CBS had already contacted YouTube about STC’s “The White Iris”…so they knew the phone number or e-mail address. But Prelude was left up on YouTube for 17 months before the lawsuit was filed (and it’s still up). The “Vulcan Scene” had been up for five months and was pulled down by Alec Peters, not because of a take-down order from the studios. So riddle me this, Batman: if the Axanar videos were damaging the Star Trek franchise in any way, then why did the studios leave them up? The defense team is likely to suggest the following answer to the jury: Maybe the studios didn’t feel that Axanar was harmful after all. 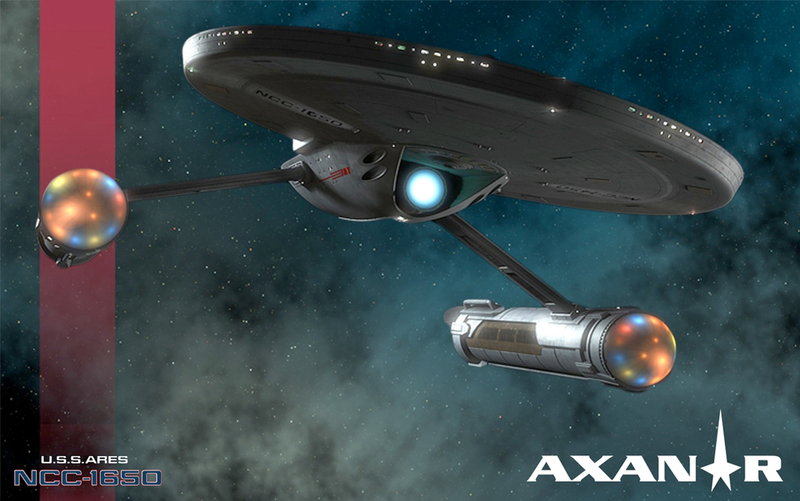 Perhaps the studio even thought fan films, including Axanar, actually BENEFITED the franchise in some way. If there’s any documentation outlining the studios’ thought process on the subject, it’ll get really, really difficult to prove that Axanar represents real or even potential harm to the studios…especially if the studios themselves weren’t concerned enough about it to make even a single phone call or e-mail to YouTube. Magistrate Judge Eick even brought up this very point in court last Friday to the plaintiff’s attorney Jonathan Zavin. In his response to the judge, Mr. Zavin argued that the YouTube decision was made solely by attorneys at the studio and so was privileged (attorney/client conversations are confidential and don’t have to be shared). The judge was dubious upon hearing this, however, suggesting that a decision NOT to take down the videos seemed more of a business conclusion than a legal one. Lawyers would have looked at the infringing work and simply said, “It’s infringement; take it down now.” Business and marketing people would have said, “No, leave it up.” So it sounds like it was a business and not simply a legal decision by the studios. But the plaintiffs are still holding fast to the “it’s privileged so we can’t share it with you” argument. Fortunately for the defense, the plaintiffs will also be producing a Privilege Log listing which documents they have but are not turning over and why they feel such documents should be considered privileged. And I suspect Erin Ranahan will zero in on any listed “privileged” document dealing with the YouTube decision and challenge its privileged status as soon as she and her team can do so. Now, the big difference between willful and non-willful infringement is the price tag. Willful infringement carries a penalty of up to $150,000 per violation (and the studios listed 57 separate copyright violations for a possible worst-case scenario of an $8.55 million judgement for the plaintiff…yeesh!). On the other hand, non-willful (innocent) infringement carries a penalty of only $200 per violation. Even if all 57 violations stick (and many likely won’t–like uniforms, triangles, pointed ears, and the Klingon language), that’s still only an $11,400 judgement…barely a slap on the wrist. But what if it’s not that clear? The plaintiffs will argue Alec Peters’ infringement was totally willful, and the defense will argue that the studios’ history of not enforcing their copyright led Alec to think they would permit his infringement, as they did for all the other fan films before Prelude (and since). But what if the jury can’t decide? 1) Actual Damages and Profits — The copyright owner is entitled to recover the actual damages suffered by him or her as a result of the infringement, and any profits of the infringer that are attributable to the infringement and are not taken into account in computing the actual damages. In establishing the infringer’s profits, the copyright owner is required to present proof only of the infringer’s gross revenue, and the infringer is required to prove his or her deductible expenses and the elements of profit attributable to factors other than the copyrighted work. Okay, to translate: if the studios can prove they lost a certain amount of money directly because of Axanar (not counting the cost of this lawsuit, of course), they can ask for that lost money as a judgment award. And they can tack on any profits Alec made (although it’s net profits, so they can’t simply grab the whole $1.2 million that was raised from crowd-funding). So…should the studios choose this option? Well, I’ve already discussed how the studios are going to need to need to share their “playbook” beforehand explaining exactly how much they think Axanar will cost them in the marketplace. But the higher the number they provide (let’s imagine they say $10 million), the more dubious the claim becomes because, as I just said, they didn’t make YouTube take Prelude or the “Vulcan Scene” down…and facing a potential loss of $10 million, you’d think they’d make a five-minute phone call! As for Alec’s profits, well, in preparation for trial, Alec Peters has had an accountant total up receipts accounting for every penny spent so far on the project: rent, utilities, studio build-out, sets, supplies, labor, postage, you name it. So likely, there won’t be much “profit” available if the studios want to pursue the first option of damages plus profits. In other words, choosing option #1 likely won’t result in that high of a judgment award if the studios win. 2) Statutory damages — In many copyright cases, both actual damages and profits are difficult to prove. For that reason, the Copyright Act provides for statutory damages—that is, damages set by law. For infringements that can’t clearly be proven as either innocent or willful, statutory damages may be from $750 to $30,000 per infringement depending on the circumstances. The amount will depend on the seriousness of the infringing act and the financial worth of the infringer. So here’s where it gets interesting (if it wasn’t already!). The jury has a big range of numbers to potentially hit Alec with ($750 to $30,000 per violation could start as low as about $40K in judgment or reach as high as $1.7 million!). But here’s the rub. The jury must–by law!–consider “the financial worth of the infringer.” So unless Alec Peters has stashed away huge amounts of cash somewhere (and if he has, you wouldn’t know it by the apartment he rents or his decade-old car), then the jury is gonna see a pretty modest bank account with few assets other than his rapidly-dwindling collection of screen-used props and costumes. And lest you think that Ares Studios is worth something…it really isn’t. They rent; they don’t own. The sets, while cool to fans, are pretty much just wood and plastic. And all that Axanar coffee is pretty much gone by now. So again, choosing option #2 (statutory damages) doesn’t necessarily lead the studio to a pot of gold at the end of the lawsuit either. Which direction the studios decide to go in terms of seeking damages is, of course, entirely up to the studios. But neither is a slam dunk for a huge award. …assuming the case actually makes it to trial, that is. (Bum, Bum, BUM!!!). You mentioned Judge Eick reamed new orifices for both the Axanar legal team and the Paramount legal team. As you were there, do you think you can you summarize the judge’s feelings for each? Hard to tell. I think he was just a really smart man with little patience for either carelessness or trickery. If he did have feelings one way or the other, the only way to tell what they might have been would be to look at the content of his decision. On the other hand, that could also simply be his judicial decision based on the facts of the case and the support of law. Let’s hope he’s a secret Trekkie! This article makes a BIG assumption. That the studio told JJ and JL they were going to drool the lawsuit via and email or a method other then via a conversation. If it was something they said in passing to them or even in a meeting, if there is no written record then what JJ and JL said becuase there is no actual proof. I’ve been told that J.J. and Justin will potentially be deposed. As such, e-mail records aren’t necessarily critical. Also, read what I wrote in the article again, because I addressed that point. I really don’t think this is going the way the studios planned. What a joke this case is. Sorry Jonathan, but I can’t drink the Kool-aid you are trying to serve, no matter how many catchy pop culture references you post in your blog. You don’t have to, Jake (unless you end up on the jury). I only write to bring a little more clarity to a complex series of issues and arguments. I don’t need to convince anyone of anything to make my quota. But no, this case is not a joke. There’s already been too much media coverage of it in places like The Hollywood Reporter and the L.A. Times. The industry knows what is going on and is watching VERY closely. Nobody is laughing at the moment. In terms of Alec and his assets, let’s not forget that Ares/whatever the name they’re using now apparently WAS worth something, because it was sold to the mysterious “investor group”. Axamonitor pretty quickly nailed down that the “investor group” has extensive ties to Alec and Alec himself may very well be one. Asset shielding like that does not go over well with judges. Not sure it was asset shielding, Greg. I do know that Alec has been preparing his side of the financials very thoroughly for this trial. If there is any profit left over for Axanar, it’s not much…certainly not seven figures and probably not even six. I suppose we’ll all find out more during trial…if we get that far. I can tell you straight with one of the findings the defence is after with request 18. Star Trek: Reunion was a planned ten-part machinima, made by using Star Trek Online’s Foundry (A place for the player base to create story based missions) and was nothing but something made by love. The Exec-Producer was a 16 year old student at the time, as well as Terry and Mic from the G and T show, a professional painter, a phone technician, among other people with average jobs. I was down to be a part of a future episode doing voice over and character development. I have made a few foundry missions myself in game. The reason why there is only one episode is, the demo-record was broken, causing custom characters not to be recorded. The developer who known how demo-record work, passed away from cancer and nobody else known how it worked. Also due to scheduling, they never be able to be fixed to this day. Being a person who was involve in this, there was nothing in the form of take downs or C&Ds by CBS. In-fact, if there was anything that would cause a take down would of been cause of a breach of the game’s EULA and possible account ban. Honestly, it feels more like a waste of time and a good laugh. Man, the language of machinima is so foreign to me. I so want to do a feature on Reunion, but I’m afraid I’d look like an idiot trying to explain the in’s and out’s of the sub-genre of fan films. Well, I think that everyone – especially Star Trek fans – should take this case seriously. The worst outcome for fans would be for Paramount to decide that Star Trek is too much trouble, not profitable enough, and that their Intellectual Property Rights have been diminished. So, this isn’t just about Axanar winning vs CBS winning, it’s about fans winning too. Honestly, I don’t think there’s much of a danger of that. Star Trek still makes the studios hundreds of millions of dollars a year. Fan films cost the studios almost nothing in comparison…if they cost the studios anything at all. I doubt Star Trek will disappear anytime soon…even if Disco bombs. Well certainly Axanar is going to cost the studios more than they anticipated but that’s due to the studios idiocy for launching the lawsuit in the first place. I enjoy reading your summaries and appreciate the time it takes you to produce them, so thanks. I think, however, you’re overlooking one element of the argument for financial damage to the IP rights holders, but please correct me if I’m wrong. Inherent in federal copyright law is the right to refuse to license protected intellectual property. CBS/Paramount make millions licensing all things Trek. There must be thousands of products that use Trek IP. But not one dollar was ever made licensing independent films, fan produced or otherwise. The only 1970s cartoon series was licensed to Filmation via Norway Productions but that’s as close as anyone has ever come. In all these years, the rights holders never allowed anyone to produce a properly licensed movie or television series. Those were kept exclusive. It seems like the rights holders viewed motion pictures and episodic series as being sacred to the franchise. They even refused to issue a license to amateur productions, AKA fan films. The internet has finally forced their hand as you know, and the rights holders have agreed to establish a very specific and limited bright line carve-out for those fans who wish to use copyrighted material in their projects without fear of prosecution. These new guidelines are clearly designed to prevent fans or anyone else from stepping foot into the one area that’s been sacrosanct: full-length features and episodic series. Also, please don’t confuse lack of enforcement with permission. Just because 20 dogs wade safely into and out of crocodile infested waters does not mean that dog #21 will be just as successful. Unless the crocks have given you their permission, they’re well within their rights to choose which dog get eaten, and when. Claiming the the crocks led you to believe it would be OK is not a viable defense since they were under no obligation to do so. The burden is all on the dogs. They take their chances and must be willing to pay the price if they’re wrong. Here’s the thing, James. If you were correct, then there would be no need to have a trial. The defense would have no case. The fact that they actually have a pretty strong case (otherwise, they wouldn’t be working pro bono just to lose and damage their reputation) should tell you that you might want to dive a little deeper into the defense’s strategy, not just the plaintiffs’. Pay particular attention to willful versus non-willful infringement. Yes, the studios don’t have to sue everyone who makes a fan film, and they can do nothing for 50 years and then just decide to sue one guy, and that’s their right. But the law says that is only HALF of the equation. The other half is what Alec was THINKING . Did he believe the studios were going to sue him, or was it reasonable for him to assume they would continue looking the other way just as they’d done a hundred times before? This is where the studios’ decision NOT to sue or even try to take down any other fan film comes back to bite them in the warp core. Yes, they can sue whomever they want, but because they didn’t sue anyone for 50 years, Alec Peters believed that they were okay with Star Trek fan films (even ones with paid professionals, veteran Trek actors, branded perks with Star Trek-related IP, and permanent studios–since all of that had happened before with other fan productions). So the important thing about willful versus non-willful infringement, James, is that the defense only has to prove what Alec was THINKING when he made Axanar. If the jury agrees that 50 years of inaction would lead any reasonable person to believe that such inaction would continue, then the potential judgement can drop from a high of $8.55 million to only a few thousand. Fair enough. You make a good point but it’s my understanding that Mr. Peters initiated contact with either CBS or Paramount– or both– seeking their approval before he proceeded. Is that correct? When it was not given, didn’t CBS/Paramount issue some sort of written notice in which they made it clear that they were retaining their legal rights? I think I read that letter somewhere when this case first began but it’s been 10 months and my memory is fuzzy. I’ve always been told that if you want to do something and you’re unsure if it’s allowed, it’s better to just go ahead and do it without asking for the reasons you state. Once you ask and are denied, you can no longer claim ignorance if you proceed. Alec met with the studio execs four times. At no point did they tell him, “No, you cannot do this. Please stop.” They never licensed or permitted any fan film either verbally or in writing (especially not in writing!) and Alec knew this, having worked on other fan productions in the past, as well. So instead of permission (which he knew the studios never gave to any fan filmmaker), Alec just sought some guidance. “What can I do to make sure I don’t piss anyone off?” The studio execs replied, essentially, that “We can’t tell you, but if you cross the line, we’ll let you know.” A few months later, apparently, Alec crossed the line that they couldn’t tell him about, and the studios let him know with a lawsuit. Yes, that’s what I remembered. Here’s a thought experiment for you from moot court: what if Peters hadn’t asked first? Would your analysis regarding non-willful infringement be any different? If not, then aren’t you saying that being told anything other than NO by the lawyers is to equivalent to some degree as a YES in that it would serve to deflect some of Peters’ infringement. So you would place at least some of the legal burden on the rights holders. What if Alec Peters hadn’t asked the studios first? Same thing. The fact that he did go to the studios four times only bolsters and already-strong argument, since he obviously wasn’t trying to do anything “under the radar.” It’s hard to imagine a nefarious copyright infringer meeting four times with the copyright owner to tell them what he’s doing and get guidance. But no, had Alec not met with the studios, the same argument could be applied in court. Studio inaction over 50 years, especially in the face of growing frequency and quality of fan films, is a very significant fact for the jury to weigh in this case. It can’t simply be ignored or dismissed in considering the defendant’s state of belief at the time of the alleged infringement. And hey, you’re welcome not to agree with me. I’m not one of the attorneys, and you’re not a juror. I just want people to understand what’s going to be happening if/when this case goes to trial. And if the verdict isn’t what you’re expecting, hopefully you’ll understand why. I have no dog in this fight. My interest is purely from a legal perspective. This is such a fascinating case. For Mr. Peters’ sake, I hope he does win the day. A win, however, could have some unintended consequences for Trek as we know it. Possibly, but likely not that much. DISCO will still get made, as will a fourth Kelvin-verse feature. Fan films might be emboldened be the outcome of the case…or possibly not. The studios might thing twice before suing another fan production, or maybe they’ll want to log a “win.” That said, a loss in this case for the studios could provide a road map for future fan films defendants to win their cases as well.